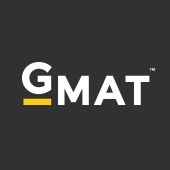 Created by business schools for business schools, the GMAT exam is the most trusted, proven and well-understood predictor of academic success. Our latest service helps students identify their best-fit programs by offering a list of personalized business program recommendations. We believe there’s a business program for everyone—and we’re committed to connecting students with the schools that can help them achieve their goals and aspirations. Our latest service helps students identify their best-fit programs by offering a list of personalized business program recommendations. Students will now receive up to 10 highly personalized business programs based on their preferences, interests, GMAT score, and those of people like themselves. This exclusive service is included as part of the GMAT exam experience and provided at no additional cost beyond the exam fee.